DPReview completed their review of the Panasonic G85 and they awarded it with a Gold Award. It seems the camera is pretty great beyond it’s JPEG performance and lowish end video abilities. 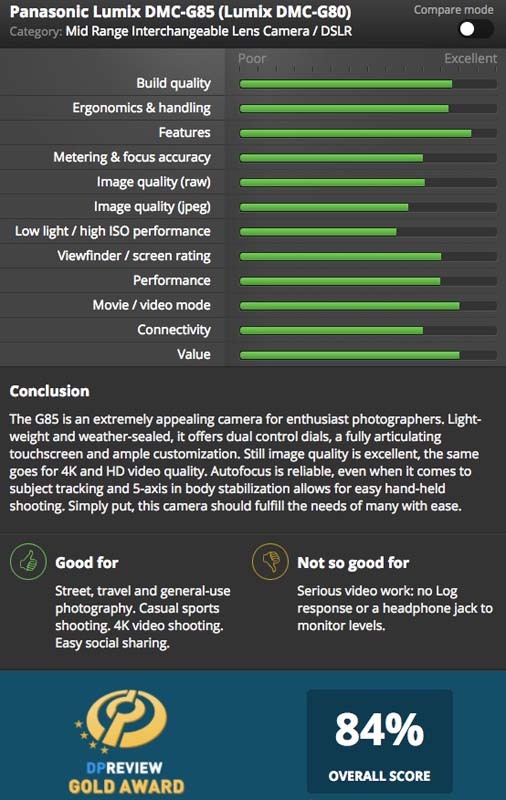 It’s good to see such a reasonably priced camera perform so well. DPReview heaps high praise on the G85 by saying “the Panasonic G85 is the camera I will be recommending to enthusiasts for the foreseeable future.” You can read the full review here.